Card Text Play: Reveal any number of Mars cards from your hand. For each card revealed this way, draw 1 card. 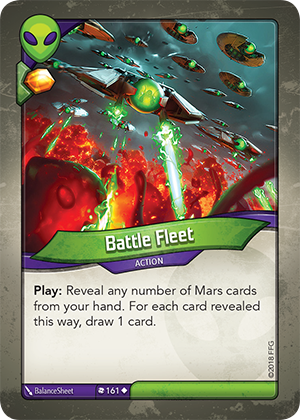 Can Battle Fleet still be played if the player has no Mars cards in hand? Yes. And the player is still able to gain the Æmber bonus on the card.